A partnership involves two or more parties in a business. Going into business with a partner can be beneficial, and is quite common with startups and businesses that offer professional services. Unfortunately, it’s almost inevitable that a disagreement will ensue at some point. Business disputes can happen even between close friends and family members. Some disputes can be so bad that the partnership ends up dissolving. It’s important to properly prepare when starting a new partnership. 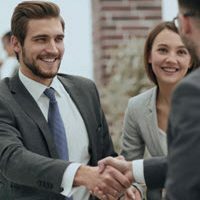 You should also speak with a skilled Washington DC business dispute attorney to make sure you have a well-drafted partnership agreement in place. This is one of your best defenses in a partnership dispute. Breach of Contract: Breach of contract is probably one of the most common disputes in a partnership. You can have verbal and written agreements between partners, which is why having an expert draft your partnership agreement is so important. Misuse of Trade Secrets: Many businesses rely on confidential information that helps them gain an edge over their competitors. This can include proprietary information on technology, formulas, processes, etc. If one person uses this information without permission or uses it after they leave, it is misuse of trade secrets. Breach of Fiduciary Duty: Partners rely on each other keeping their commitment to further the business and put the business’ needs first. If one partner breaches their fiduciary duty, it will bring about a dispute. Failure to Distribute Work Loads in a Fair Manner: Partnerships vary as some may have silent partners who only contribute funds, while others have all partners involved in the day-to-day operations. A failure to fairly divide the workload could cause a dispute between partners. Disputes Regarding How to Use Resources: Conflicts can arise over the use of financial resources. Maybe one partner wants to purchase new equipment for the business and the other partners don’t feel it’s necessary. Failure to Define Authority: You need to have a clear understanding of who has authority and for what. A failure to define who is in charge of what will almost always open the door for a number of disputes as your business grows. There are countless other types of disputes that can arise which require some legal research. For instance, there could be a dispute on who can be held liable for product liability claims or for reimbursing a customer’s damages due to injury. What to Do When a Partnership Dispute Arises? Once a dispute arises, it’s important to contact an experienced business litigation attorney as soon as possible. An attorney can review partnership documentation and determine if you have anything in place for dispute resolution and what your options are. Your attorney can also help you identify different methods available for dispute resolution. Alternative dispute resolution (ADR) can include options like arbitration or mediation. Partnership disputes often involve complex legal issues and may lead to a lawsuit. Contact the office of Tobin, O’Connor & Ewing at 202-362-5900 to schedule a consultation.